Got a free Professional Badge for WonderCon at the Anaheim Convention Center (across the street from Disneyland), so I thought I'd check it out for the first time. 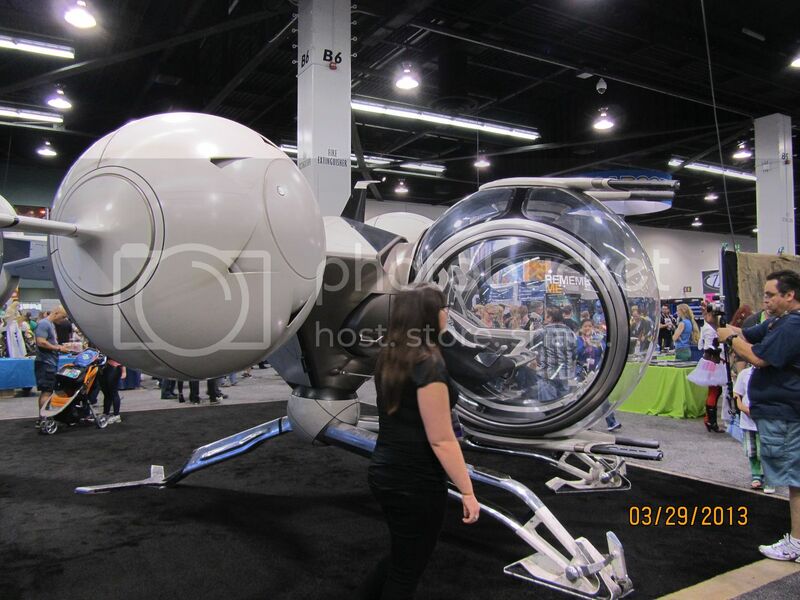 Wondercon has only been down in Anaheim for a few years. I think it used to be up in the Bay Area? Anyway, I had no idea what to expect other than that it is run by the same folks who run the San Diego Comic-Con. 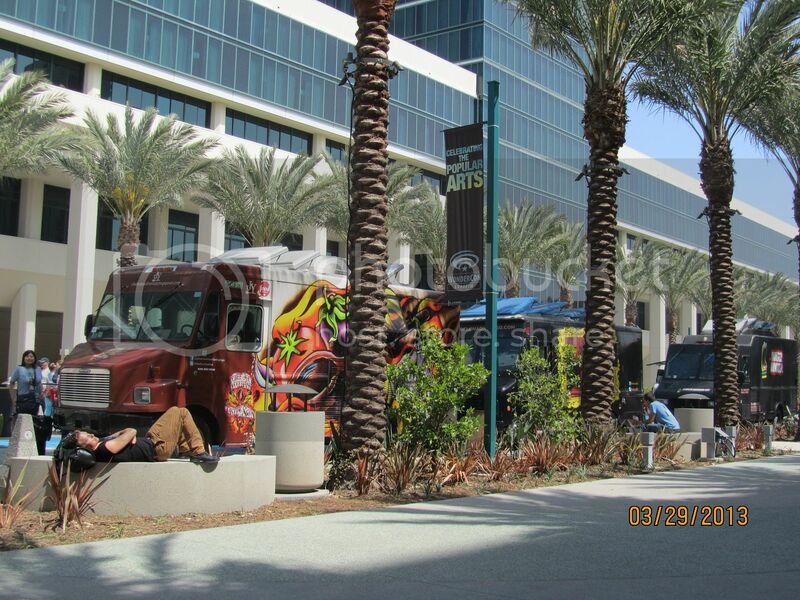 LOVED the food trucks lined up along the walkway between the hotels on the main walkway to the Convention Center. I had to stand on line to get my badge. 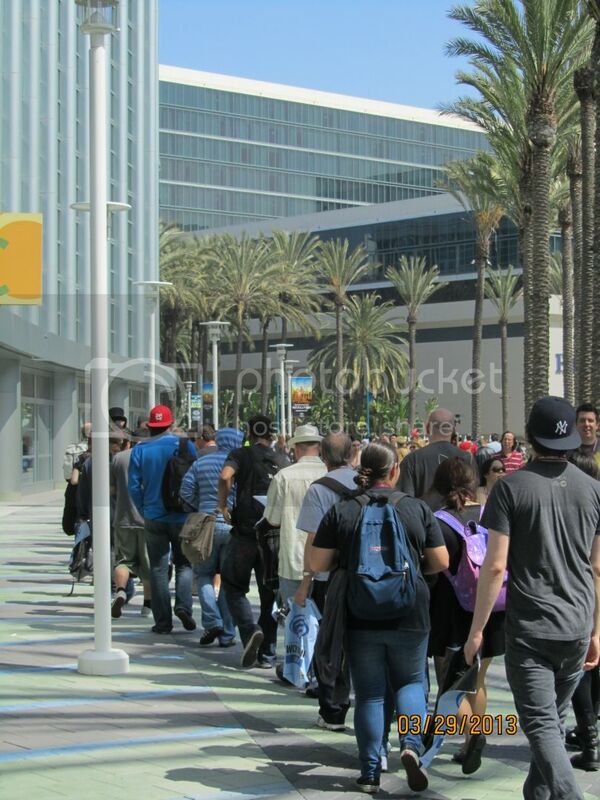 There was still a big line to get into the Exhibit Hall when I got back, although it was moving quickly. I figured I'd take an early lunch at the food trucks before committing myself to the con and convention snacks. I had a great sliced steak with pesto sauce over fries from the BarcelonaToGo truck. Sat on the benches along the walkway and listed to live music played in the plaza in front of the Convention Center. The Exhibit Hall was pretty dang HUGE... and busy for a Friday. 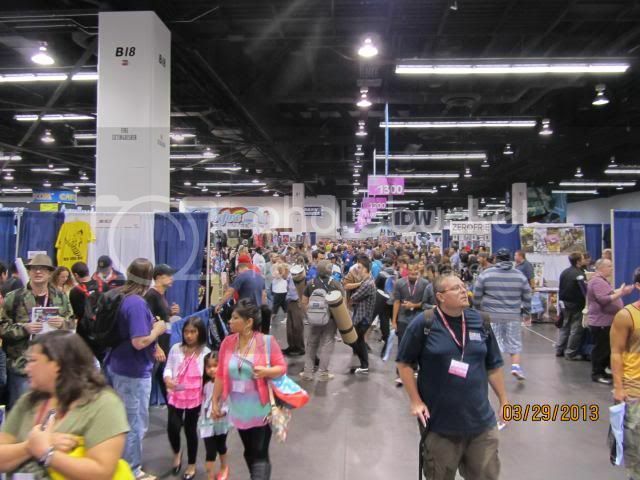 There was a large Artists Alley, autograph booths with Peter Mayhew and Lou Ferrigno and Richard Hatch, and a ton of guys who played secondary characters in various movies and tv series. Lots of booths with artists and small press books. There were the a few electronic games demoed and displayed. Some cool odds and ends being sold--the usual clothing and jewelry and art supplies (I bought a ton of $1 brushes from the Art Supply Warehouse booth, and a $5 sketchbook). Picked up a couple of art/illustration/character books. And there was definitely a lot of people. Couldn't even guess at the attendance... 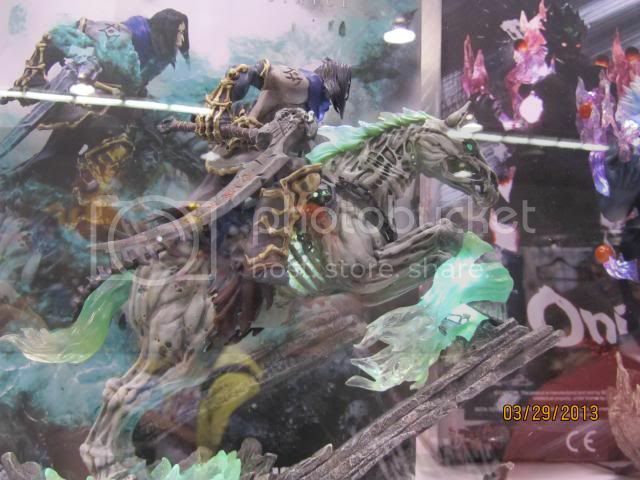 Seemed to be around GenCon size which is 30,000 or so? Hard to say because GenCon has people crowded in huge gaming halls, not all in the Exhibit Hall. 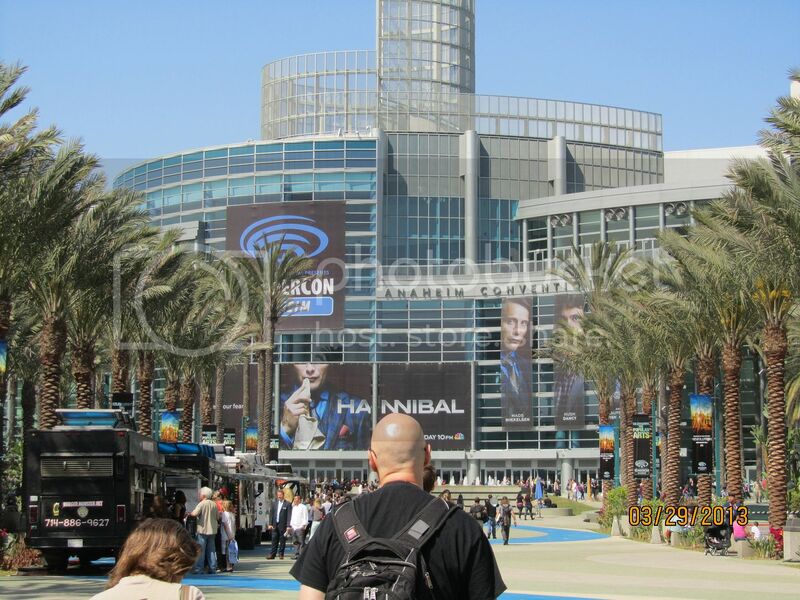 There was programming for WonderCon, but not at all the big names and presentations Comic-Con has... still, not bad. Some media presentations and sneak-peaks. And they had a cool animation and children's animation film festival/track, as well as anime. Plenty of things to see and do. And for the people who miss the comics at Comic-Con... a bit more of a comics emphasis. I failed to resist buying a lot of other stuff, however (got one of those shoulder dragons with the wires that move the head. Geesh. But they had a lot of cool ones on display, so I finally caved! Also had a major failure to resist some of the clothing... got more Steampunk attire (corset, skirt and bustle). Anyway--It was definitely worth a visit. 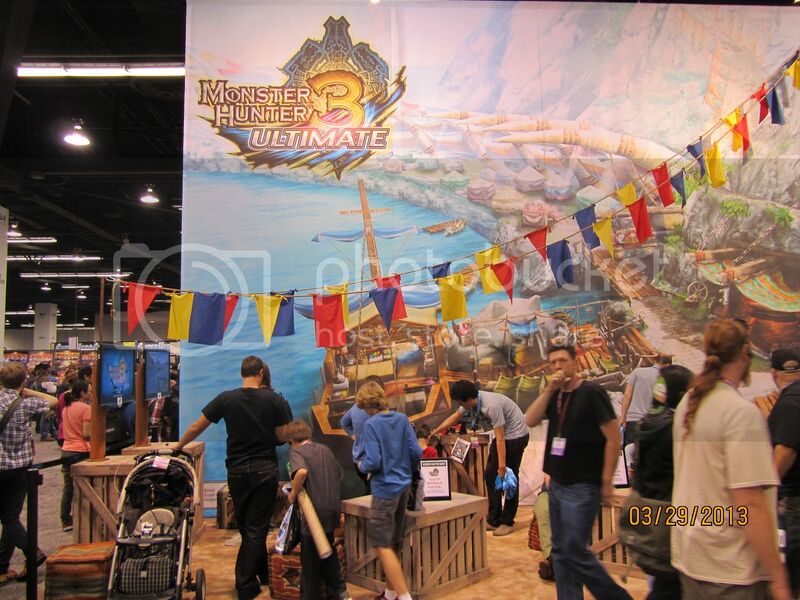 I could actually make it through the entire Exhibit Hall in one day, with a lot of concentrated effort. I didn't get to any panels. 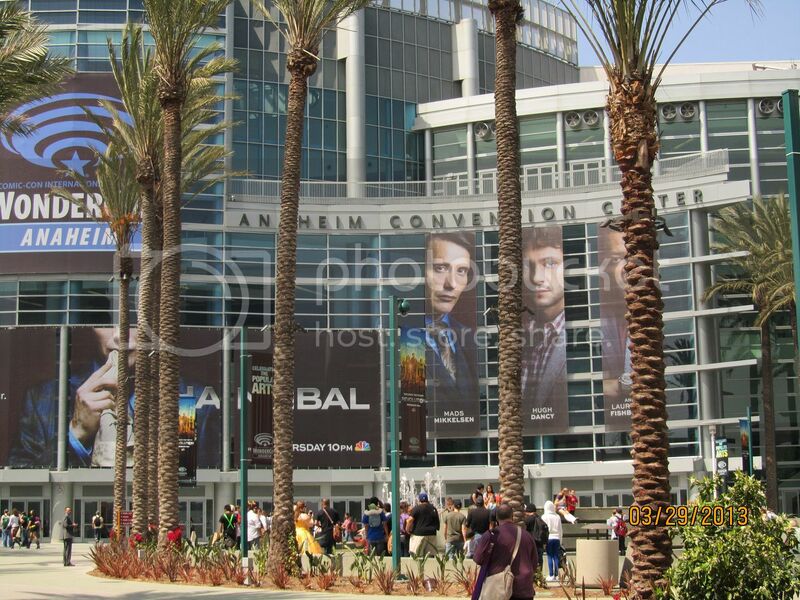 It had really great foot-traffic, nice crowds, for the Hall and the panels. Even the convention-food had some variety. The complex includes a number of large hotels, also with food and snacks. I think the vendors were doing OK. 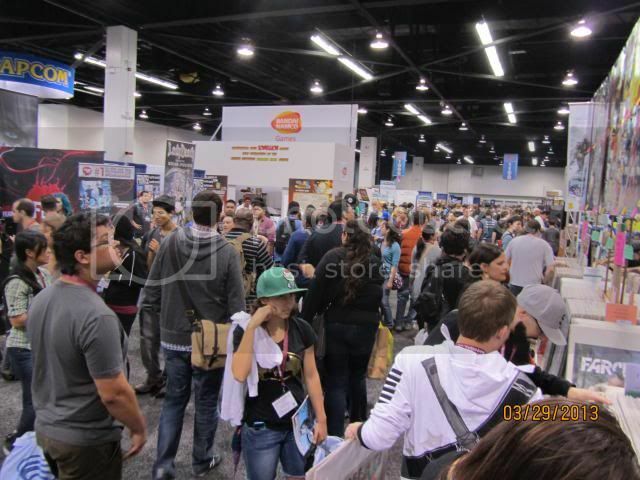 The booths are less expensive than Comic-Con and it's more likely customers will find your booth--so it might be worth it for sellers to think about. I'd definitely go again next year. Would think about selling stuff, but am already committed to other cons at this time. That's a good time for a con. 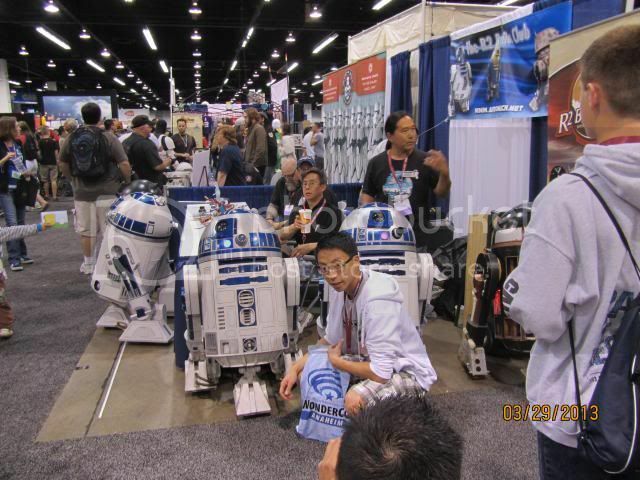 Long ago, I used to go to a few cons in San Jose. Lots cheaper than doing one in S.F. It's a nice place for a con.